The best way to get to know a community is by scheduling a tour. See the facilities, meet the staff and residents, and get a feel first hand what it's like to live at Integrity Home Care - St. Louis Home Care. There are many choices available when deciding which home care agency to use. At Integrity we want you to experience the Integrity Difference! As a Christian-based agency, Integrity Home Care has been dedicated to providing the highest quality care since its founding in 1999. We have expanded our service areas to meet the growing needs of our clients and now serve 53 counties in Missouri and 13 counties in Kansas. We strive to care for our clients and provide an extensive variety of services to ensure a full continuum of care. Our services range from pediatric care to geriatric care and include both medical and non-medical programs to keep our clients safe, independent, and healthy at home. 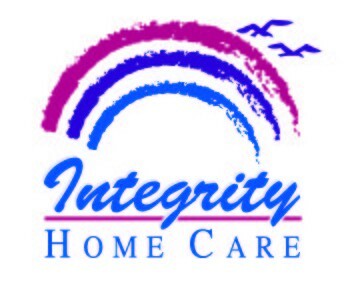 Integrity Home Care is one of the state's leading companies in providing peace of mind for our clients and their families. Our Telephony system provides real time caregiver accountability. We are dedicated to providing the high level of care our clients deserve, but we are also focused on the compassion it takes to deliver that care. We know how important it is physically,emotionally, and spiritually to be able to remain independent and stay in your home. You are surrounded by the people and things you love, and that makes what Integrity Home Care does so important. We are committed to working with you, with compassion, devotion, and dignity to assist you with your needs. This commitment allows us to truly provide Home Care... From The Heart! You! The heart of what we do! From a few hours a day to around the clock care, Integrity is here when you need us most. Private Pay funding options include personal payments. Trust funds, private funding, VA benefits, and long-term care insurance plans. The state funded program of In Home Services is authorized by the Missouri Department of Health and Senior Services. This is a special program that is funded by the state and allows the client the flexibility to stay in their own home, the choice of their own caregiver, and the freedom to set their own schedule of care. The Integrity team provides advocacy, independent living skills, peer support, and supporting information. Give those you care about the opportunity to explore the CDS program. Home Health funding options include Medicare and many private insurance plans. From the moment we enter your life, our Hospice team and volunteers work with you, your loved ones, and your entire family to answer difficult questions and comfort you with uncompromising devotion. Hospice services are currently available in Christian, Dade, Dallas, Greene, Lawrence, Polk, and Webster Counties. Hourly Nursing and agency-directed personal care is available to provide care to children with special health care needs. Our nurses and caregivers are specialized to work with children who are diagnosed with Cerebral Palsy, Cystic Fibrosis, Blindness, Hydrocephalus, Spinal Cord Injuries, Traumatic Brain Injuries, Chronic Illnesses, Autism, Cancer and many other disabilities. This service can help qualified families with before and after school care, and in other circumstances as needed. The Integrity Pharmacy is a revolutionary method of assisting with medication management. It allows us to bring pharmacy solutions into the home and ensure the right medication, on time, every time. The state-of-the-art MedPak system is delivered monthly to the patient's home, which means no last minute rushing to the pharmacy or running out of medication. The system sorts medications by the day and time they need to be taken and sorts them into easy to read, easy to open packages. This increases accuracy and efficiency, reduces unnecessary emergency room and clinic visits, and providing peace of mind for families. Stop worrying about sorting pills into planners, let the Integrity Pharmacy show you a new solution! We are committed to following our patients' care. In the event of hospitalization each patient is visited by a member of our social work team during their hospital stay. We work with the hospital staff and clinical team to ensure the best transition back home for our patient. We work diligently with the discharge planning staff and physician to ensure all discharge needs are met, from arranging for our home health team to assume care to re-establishing previous in home care.